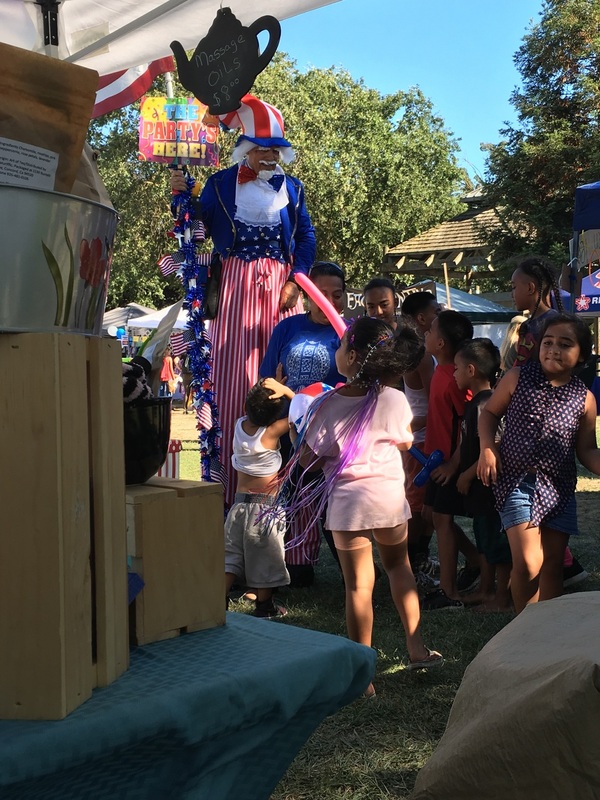 When I signed up for Elk Grove's Red, White & Blue Festival earlier this year, I had no idea it would be the event that would launch our new Gourmet Salt product line. in fact, when I didn't even know we were going to have a new product line at that point. Inspiration usually comes when you expect it the least, and this time was no different. As part of our journey to eat healthier, we have been examining the spices and seasonings we add to our foods. Since cutting back on packaged and processed foods, we have cut the amount of sodium in our diets significantly. Eating more fresh vegetables and cooking whole foods creates a need to provide our own seasonings. Using the typical seasonings available at the local grocer, had us delving back into the processed food world, with any number of factory ingredients in your favorite spice rub or seasoning salt. To that end, we have tried to make our own seasonings at home that focus on enhancing the flavors of our food, subtlety and naturally. As I was vending at our local Farmers Market recently, I was asked by the organizer; "Did our company make salts for cooking as well as for bathing? " Well of course! Why wouldn't we? Was what I thought. What I actually said was; We will be developing some soon. So develop a new Gourmet Salt line for Naturiffic is exactly what we did. With John's experience in the competition BBQ world as Sir Porkalot BBQ Team and my experience with blending and packaging the Teas and Bathing Salts we already sell, this was an opportunity to use the best of both our talents. To keep them as simple and as natural (Naturiffic!!) as possible, we selected hand harvested sea salt from the Trapani region of Sicily, Italy. This salt is additive free and is unrefined. To this high end Sicilian Sea Salt, we have added our own special blend of citrus and herbs to provide a seasoning salt that has a focus on the quality of the salt with a subtle hint of citrus and herbs. Unlike the other commercially available seasonings, our salts are designedly enhance the foods they are applied, not cover them in heavy rubs or spices. After a few trial runs and recipe missteps, we finally landed on three distinct salts we would be proud to label with the Naturiffic brand. As the timing happened to work out, our Gourmet Salts were finally completed, packaged and ready to sell, the day before the July 4th: Red, White & Blue festival. So we loaded up salts with the rest of our products and headed to the festival. We had no clue as to how our new products would be received, but I am thrilled to be able to report, that apparently everyone thought a clean & simple seasoning salt was exactly as a great idea was we did. There was a great number of people in attendance (20k+) and we had the honor to be able to share our Gourmet Salt line with a bunch of them.